The Heart of Missouri – RPDC offices will be relocating to Townsend Hall. Our new mailing address will be Heart of MO – RPDC 303 Townsend Hall, Columbia, MO 65211. Beginning in July, Professional Development sessions will be held at either the Assessment Resource Center, 2800 Maguire Blvd in Columbia or at HyVee, 25 Conley Road (near the Sams Club) in Columbia. Please check with your trainer(s) or consult My Learning Plan for your training location. Only our location will change, we are still committed to bringing you effective professional learning. Thanks for your continued support! Welcome to the Heart of Missouri Regional Professional Development Center (RPDC), one of nine regional professional development centers located in the state of Missouri. The mission of the Heart of Missouri RPDC is to build the capacity of educators through high quality professional learning to maximize student achievement. We aim to improve outcomes for all students by providing effective and timely professional development to school communities. Established by the Department of Elementary and Secondary Education (DESE), RPDCs are designed to serve the professional development needs of public school teachers and leaders. 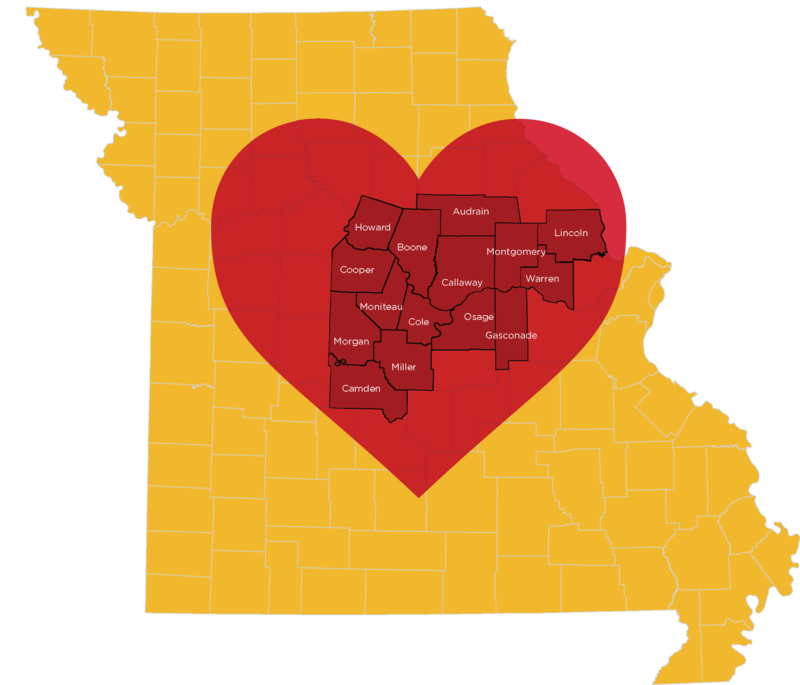 The Heart of Missouri RPDC serves 57 school districts in 200+ buildings in the central/east region of the state, covering Audrain, Boone, Callaway, Camden, Cole, Cooper, Gasconade, Howard, Lincoln, Miller, Moniteau, Montgomery, Morgan, Osage, and Warren counties. In 2017 the Heart of Missouri RPDC conducted over 130 workshops with 1,100+ attendees. Training programs include the Teacher Academy, School-Wide Positive Behavior Support, Professional Learning Communities, Missouri Leadership Development System, Special Education Compliance and Improvement, Beginning Teacher Assistance, College & Career Readiness, and more. The Heart of Missouri RPDC is an outreach unit within the University of Missouri College of Education and is located in London Hall at 501 South 6th St in Columbia, MO, on the MU campus. Contact us about training opportunities at our location or yours!